When it’s 90 degrees and humid as heck outside it’s hard to believe that fall is right around the corner, but as the stores are already reminding us (most have had Halloween stuff out since July – whaaaaat?! ), fall is right around the corner! With that being said I want to get a jump start on sharing some of my fun DIY Halloween décor that I didn’t get around to sharing last year. 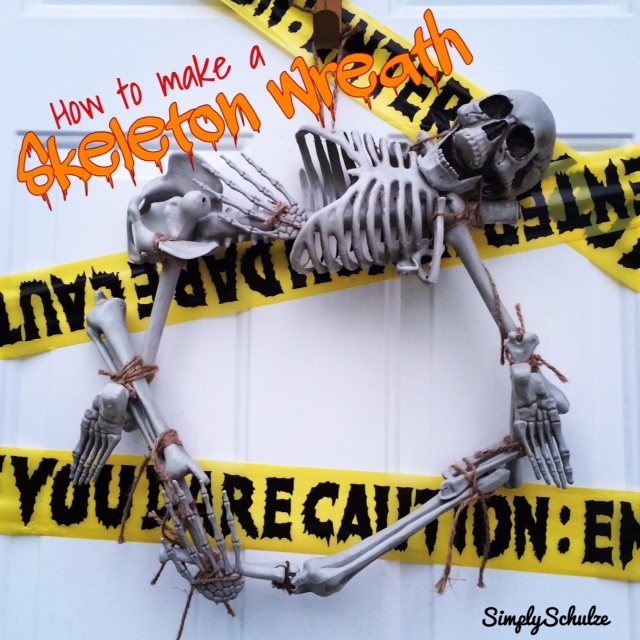 Since I’m a little wreath obsessed, I want to begin by sharing this super simple but a bit unconventional Halloween skeleton wreath with you. It’s a little something I came up with when I was pressed for time (and cash!) last Halloween but still wanted to get a fun wreath up on the door. 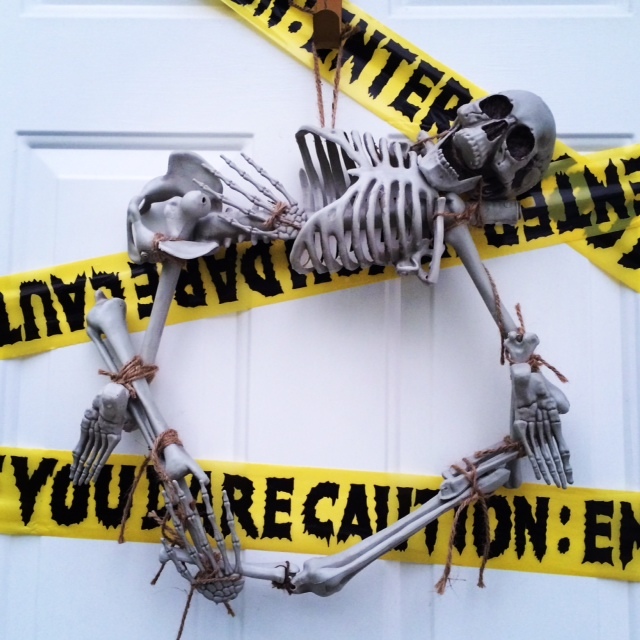 I hope this jumpstarts your Halloween creativity and inspires you to think outside the box when it comes to your front door décor! 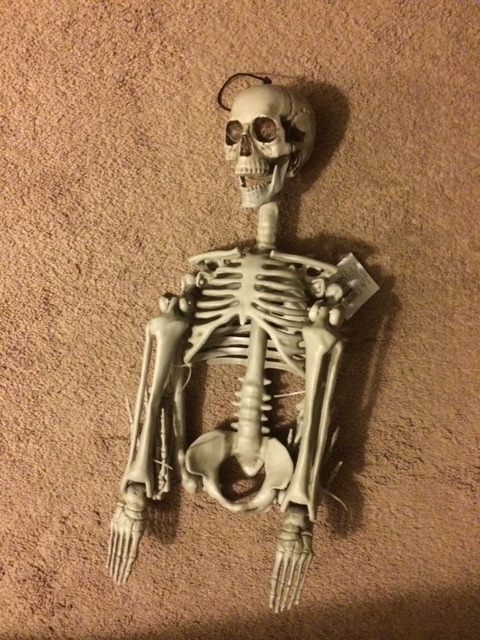 1 plastic skeleton – I purchased mine at Micheals in September and believe it or not it was already 60% off not even close to Halloween! It was originally about $11.99 but I was able to snag it for under $5. I don’t have the exact product escription or dimensions but something like this would work just fine and I’d imagine you could find the same one in Michaels or your other local craft store this year. Twine or fishing line – I thought that twine looked a little more spooky and haunted-house/pirate-like and I already had it on hand so that was my string of choice but in a pinch any weather-resistant string will do! 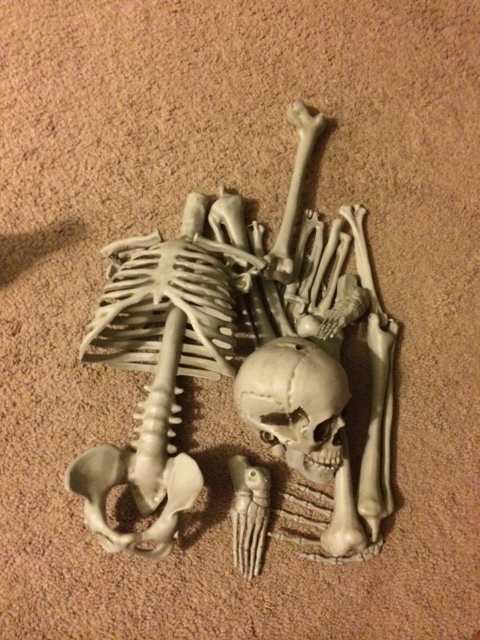 Step 1: Begin by separating your skeleton into pieces. Doing so at the joints will work best because you can just pop them out where they are attached. As you can see, I left the torso in tact and removed the head, legs, arms, feet and hands but the way you decide to break up ‘ol lazy bones is totally up to you! 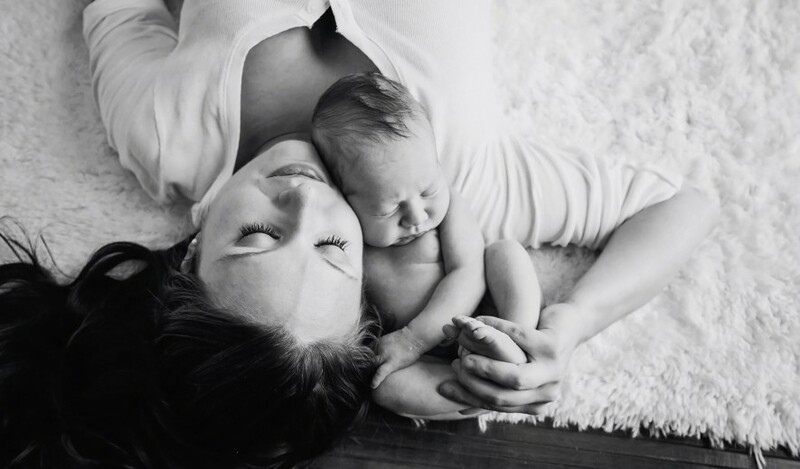 Step 2: Form a rough circle using your torso, arms and legs, then tie them together using the twine (or string of choice). 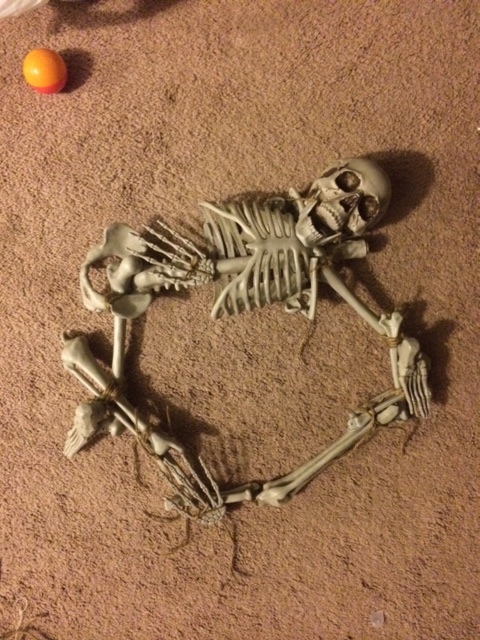 It may take a little manipulation and re-tying but eventually the skeleton will resemble somewhat of a circle. 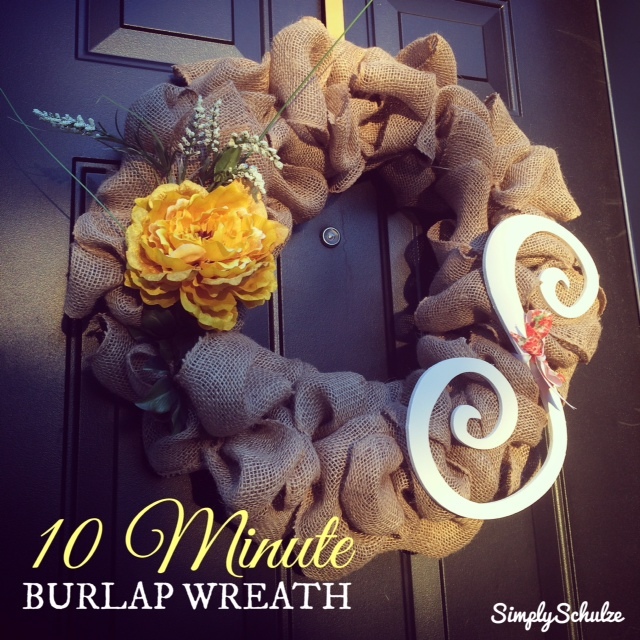 Step 3: Lastly, tie your skull, hands and feet to the “wreath” wherever you see fit. You can also go a step further and add cobwebs, spiders or even splatter red paint to look like blood (eek! ).